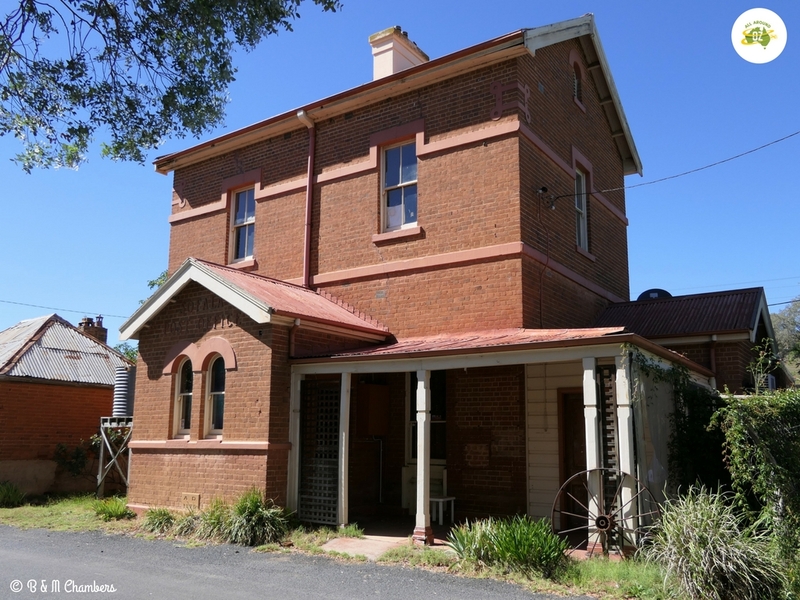 We recently opted to take the road less travelled, which enabled us to visit the historic villages of Sofala and Hill End in Central West NSW. 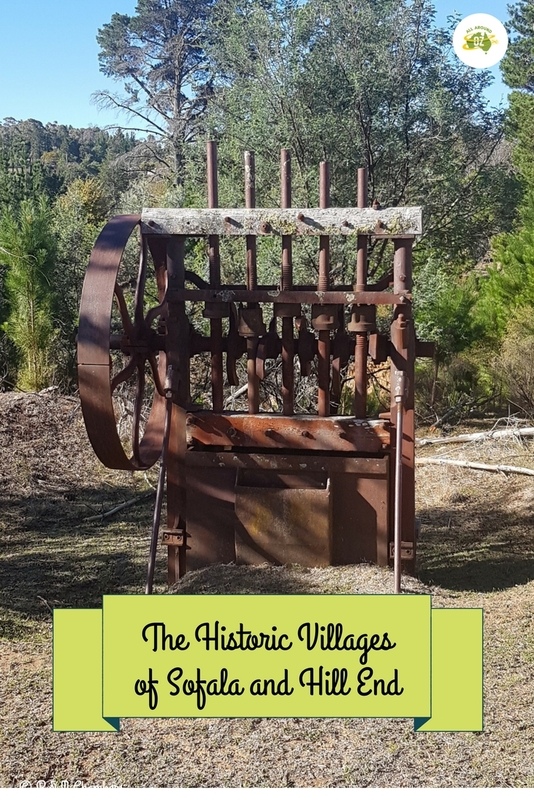 Although we had heard of both of these places we knew very little about their history, other than they were old gold mining towns. What we found, was two tiny villages, where time has pretty much stood still for around the last 100 years. 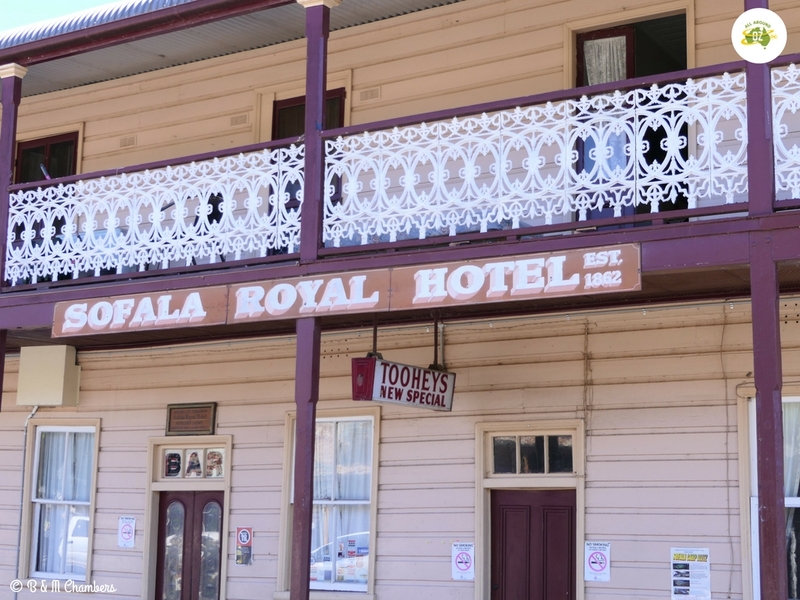 Sofala is around a 45 minute drive north of Bathurst, in Central West NSW. The road is sealed all the way, with some steep and winding sections. We were towing an 18ft Coromal Element caravan behind our BT50 and had no issues negotiating the road. 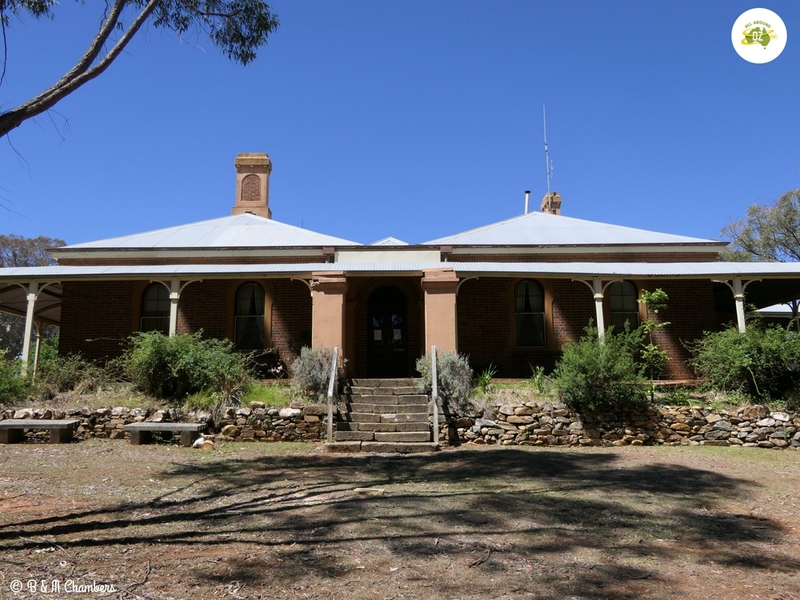 Hill End is a further half hour to 45 minute drive from Sofala. Again the road is sealed all the way, with several steep and windy sections. But again we found it easily doable. There are a couple of opportunities to pull over along the way and take in the views. As we travelled on a week day, we found there was not much traffic on either of the roads. The view from this little parking bay was spectacular. Sofala was proclaimed a township in August 1851. This was after gold had been found in the Turon River earlier that year. Initially the town just consisted of tents. But, it grew rapidly and soon there were 197 registered businesses including 44 pubs! By the end of the 1800’s, there was very little alluvial gold left. Dredging operations then started in the Turon River and continued until 1914. The last gold was removed from Sofala in 1943. But by then Sofala had moved on to being a strong agricultural town. We were a little to early for a beer at the Royal Hotel as it doesn’t open until later in the day. It’s slow decline began in the 1950’s. Today, the few remaining businesses in the town, rely heavily on tourism for their survival. There are plenty of historic buildings to enjoy including the remaining pub, original Post Office and Hospital. As we visited early in the week the only place we found open was the Post Office which is also a small shop. The pub opens in the afternoons. Another cafe opposite the pub opens Thursday to Sunday so it would be worth timing your visit to those days. 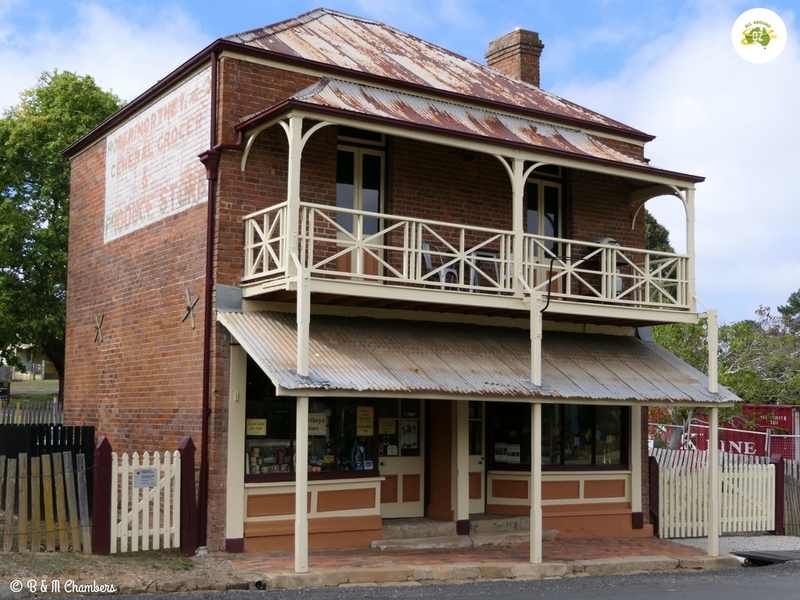 The original Sofala Post Office is just one of the many historic buildings left over from the gold rush days. It is worth spending some time reading the information boards in the Joyce Pearce Memorial Park as you come into town. 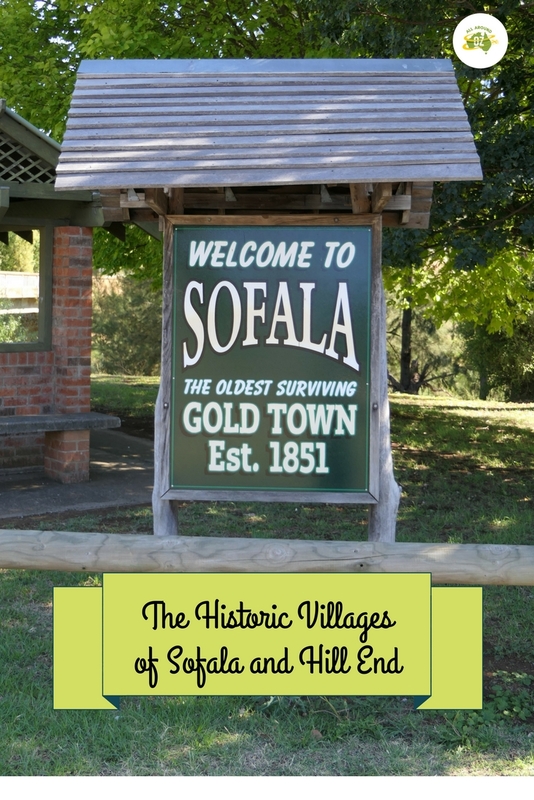 You will learn lots about the history of Sofala and the Gold Rush era. There are a couple of B & B’s available in town and overnight stays are permitted in the parking area as you come into town from Bathurst. There are also two camping areas out of town. 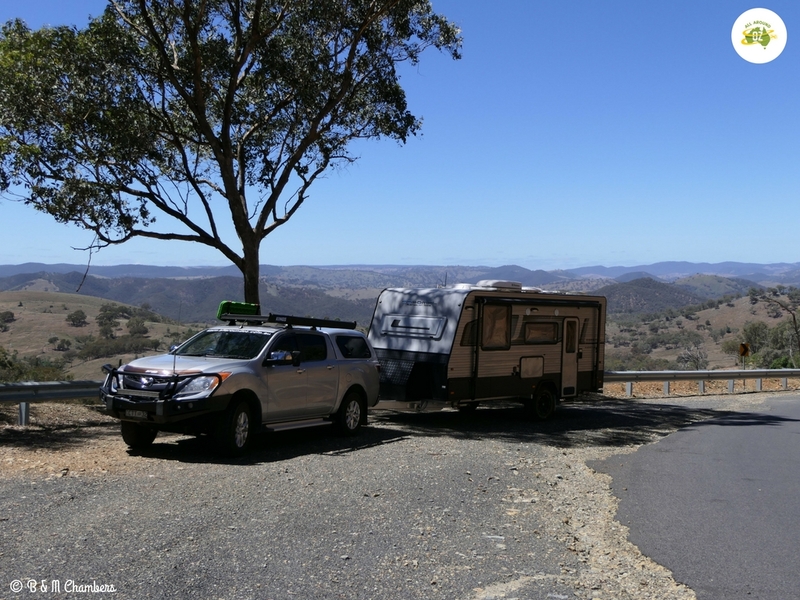 The first one – Rations Point Campground would be okay for a roof top tent set up, but access was not great for a van. The second one was Green Point. We thought this was an awesome spot but it has disappeared off Wikicamps so we are not certain at this time if it has been closed. 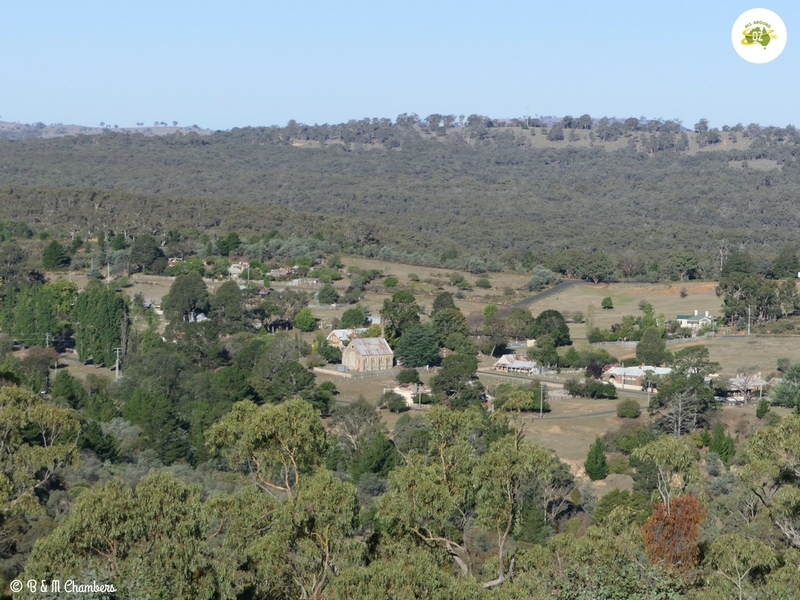 After spending an enjoyable morning wandering around Sofala we headed across to Hill End. 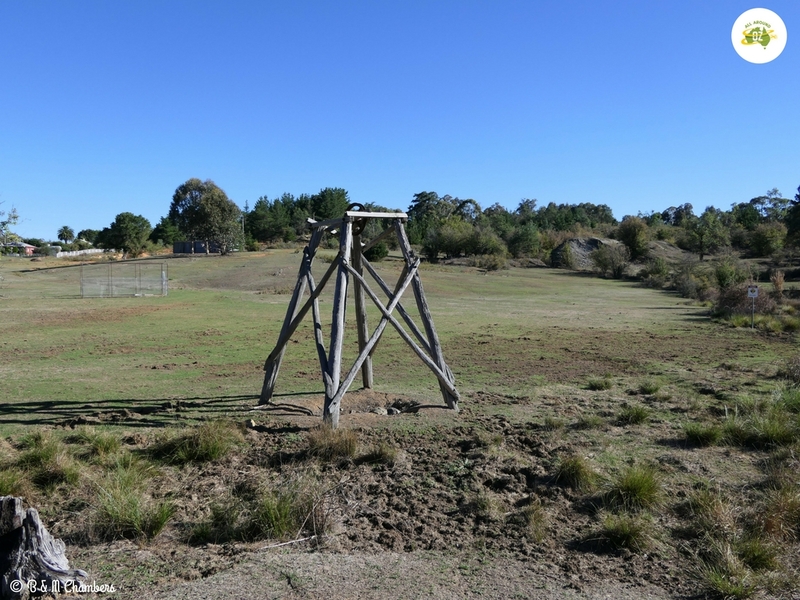 Hill End was proclaimed an historic site in 1967 and is actually managed by the NSW Parks and Wildlife Service. There is lots to see and do in the village, so I would recommend staying at least two nights if you can. These were some of the highlights of Hill End for us. The first spot we stopped at was The Hill End Hospital as it was on our way into town. Built in 1873, it was previously the Visitors Centre and museum, however this has now moved to the Heritage Centre in the village itself and the building is now closed to visitors. What this means for the historic and now empty building is unclear. You can still walk around the building and there are still some horse drawn carts and carriages on display. There are also very clean toilets and picnic tables and barbecues available. 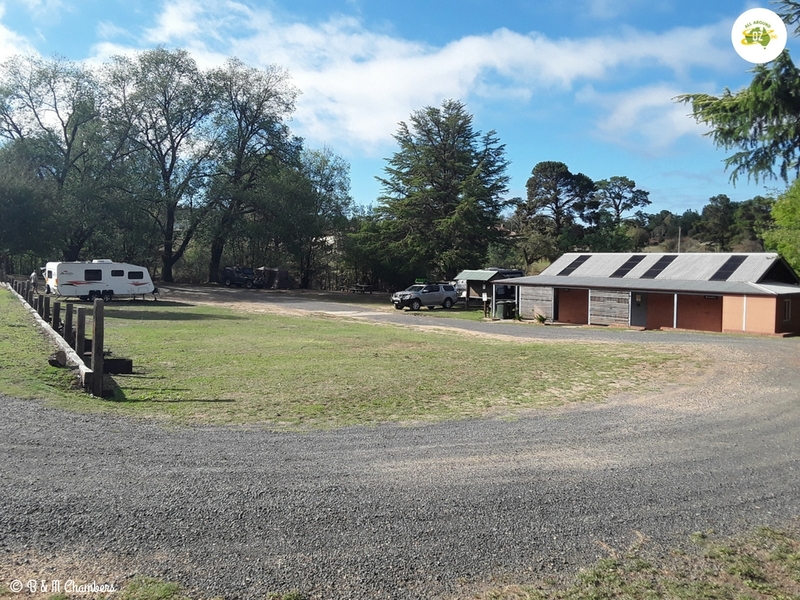 The carpark is large and suitable for caravans. The Historic Hill End Hospital now stands empty, but is still worth stopping at. It’s funny how many small towns and villages have a Royal Hotel! The Royal Hotel in Hill End dates back to 1872 and was one of 28 pubs in the town at the time. A two story, brick building with a balcony right across the front, this is a great spot to enjoy a beer or a meal whilst in town. Bricks used in its building were made in Hill End. The main bar has an interesting collection of currency pinned around the wall and is a nice space to sit and relax. My favourite spot was the beer garden area located at the rear of the hotel. It was the perfect spot to enjoy a cold beer on a hot afternoon. 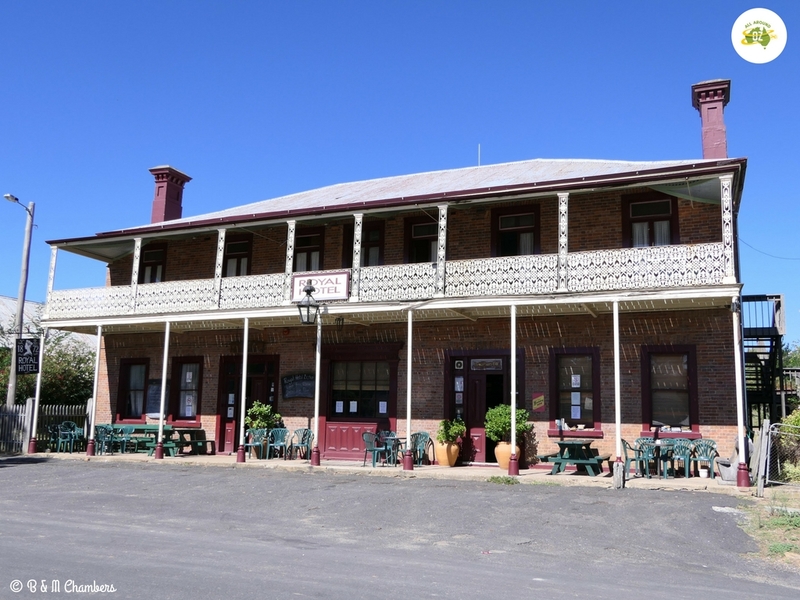 There is also accommodation available at the Royal Hotel. One small, quirky thing I did like was the book swapping station set up on a window sill at the front of the pub! A great idea for travellers and towns-folk alike. The Royal Hotel at Hill End is a lovely old pub and a great spot to enjoy a cold beer. Hill End is not a huge place, so the easiest way to take in the history of the place is to go for a walk. This way you can admire the many old buildings and also learn about what Hill End looked like in its heyday. There are numerous signs dotted around the village with pictures and information about buildings that are no longer present and those that are. Be sure to check out the Post Office, Court House and Police Station, the former Sacred Heart Catholic Church, the remains of St Andrews Anglican Church which was demolished due to lack of funds for it’s restoration and Northey’s Store. One thing you will be guaranteed to see lots and lots of are kangaroos. They are simply everywhere in mobs of 7 to 10. As Hill End is technically a National Park, they have not been culled and are free to roam where ever they please. Northey’s Store is just one of the many historic buildings dotted around Hill End. 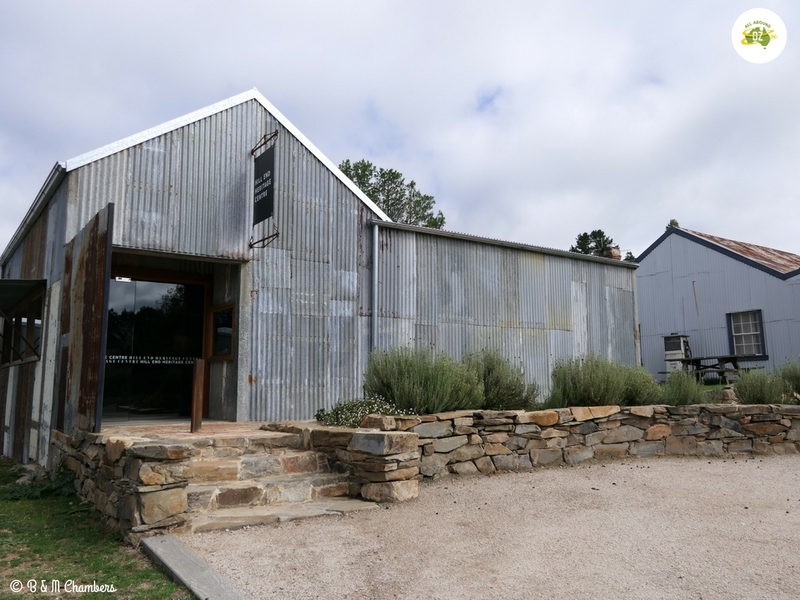 To learn more about the history of Hill End a visit to the Heritage Centre is a must. Housed in a fully restored 1950’s Rural Fire Service shed, this free display is a must-see. Starting with a fascinating short movie on the area, the rest of the display showcase items from the gold rush era and subsequent mining operations. You will find a very informative display at the Hill End Heritage Centre. There are three awesome lookouts just a short drive out of Hill End. They are well worth heading out to and not bad spots to be in the late afternoon. Bald Hill Lookout offers views of the village of Hill End. You can get a sense of how big it actually was by the spread of the buildings below you. This is the view of Hill End from the Bald Hill Lookout. 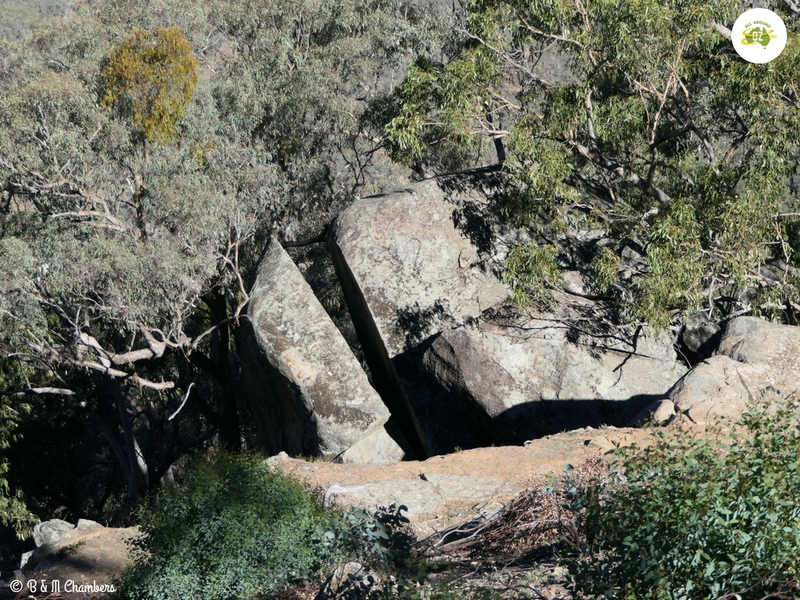 Split Rock Lookout offers views of the ranges that surround Hill End as well as glimpses of the river far below. And of course the large granite rock formation that has ‘split’down the middle giving the lookout it’s name. This granite rock formation is where Split Rock Lookout gets it’s name from. The Beaufoy Merlin Lookout was last on our list. From here you can still see the remnants of mining operations with mine shafts disappearing into the side of the hill still clearly visible. An information board shows that there were 20 plus mines running across the ridge line. Although I didn’t walk the whole of this track, the section of it that I did walk had plenty to see. I found a number of old mine shafts, as well as abandoned equipment. The track starts in the middle of the village and covers a distance of a little over 1.5 kilometres. I should have tackled it earlier in the day, rather than leaving it till late afternoon. A relic of days gone by. The area behind was once a dam used for steam power. Golden Gully was easily our favourite spot at Hill End. Located just a short distance out of Hill End towards Tambaroora, Golden Gully is spectacular. The gold found in Golden Gully was alluvial gold and it was more easily accessible to prospectors. Shafts dug into the sides of the gully can still be clearly seen dotted along the gully. 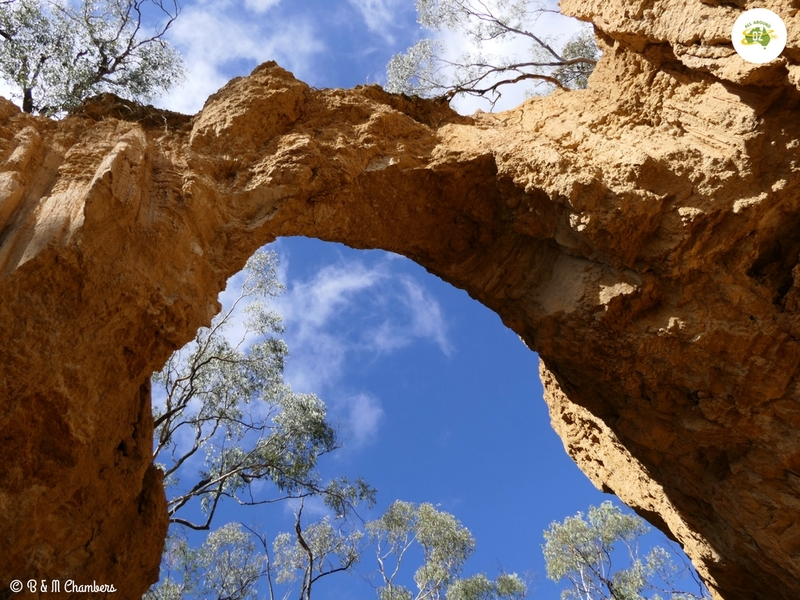 The colours in the walls of the gully are truly spectacular but not as spectacular as the arch that remains suspended over the gully. It is well worth stopping and going for walk up the centre of the gully. It feels like at any moment, you could stumble across some gold of your own. The colours of Golden Gully were amazing. There are two National Park campgrounds in Hill End. The first is The Village Campground and as the name suggests it is located in the middle of Hill End Village. This is where we stayed. It has both powered and un- powered sites available. There is a large amenities block with showers and toilets. Hot water in the showers is coin operated. $1.00 for 5 minutes and I did not run out of hot water during that time. There is a large washing up tub at the side of the amenities which has hot water and there are also washing machines available. Cost per person per night for an un-powered site is $8.00. You can book and pay on-line or self-register as you drive into the camp ground. The Village Campground was a great spot to base ourselves in Hill End. This is a great spot to base yourself in Hill End as you can pretty much walk everywhere. The other campground is Glendora and is located just on the outskirts of Hill End. Glendora is a large campground and has around 40 sites. Glendora was completely empty when we were there. It also has toilets and showers and some powered sites. It is ideal if you have a large group or just want to camp somewhere that has more of a bush feel to it. There is lots more to do in and around these two awesome villages, especially Hill End. We will definitely be back to visit again. Gorgeous!! Glad you included a map so I could work out where in the world you are. Turns out you’re not too far away at all! We’re heading in that general direction this weekend. Well … kind of … Canberra to Dubbo. Somewhat nearby I guess. Not that far away from Canberra or Dubbo. Enjoy your weekend…great area to visit. I love finding places like this. It makes me sad to see they are no longer thriving but their history is usually quite interesting. Thanks for sharing these places. If nothing else, the tourists that visit do help support them otherwise there really wouldn’t be anything of them left. It is a beautiful spot….very peaceful there too! Somewhere else to add to your list Kathy. That’s why we love taking the ‘road less travelled’! Thanks Jo….they really are awesome little towns. So much history on every corner!